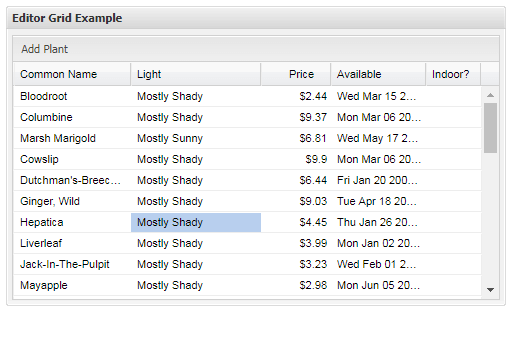 GWT GRID is used to create simple HTML table by extending HTMLTable.Grid for creating table. It can be configured according to need of number of rows and columns. Grid() It is a default constructor for Grid. Grid(int rows, int columns) It constructs a grid with the requested size. 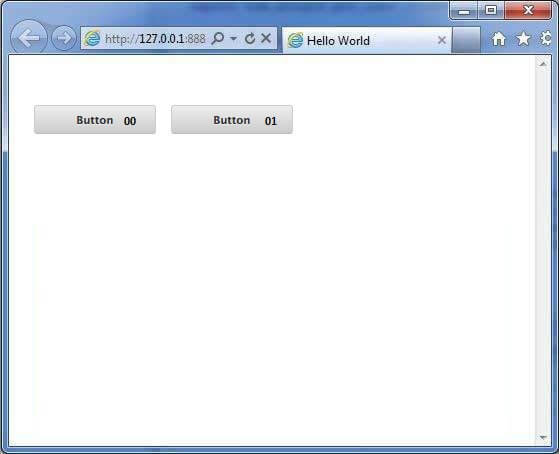 boolean clearCell(int row, int column) It replaces the contents of the specified cell with a single space. protected Element createCell() It creates a new, empty cell. int getCellCount(int row) It return number of columns. int getColumnCount() It gets the number of columns in this grid. int getRowCount() It returns number of rows. int insertRow(int beforeRow) It inserts a new row into the table. protected void prepareCell(int row, int column) It checks that a cell is a valid cell in the table. protected void prepareColumn(int column) It checks that the column index is valid. protected void prepareRow(int row) It checks that the row index is valid. void removeRow(int row) It removes the specified row from the table. void resize(int rows, int columns) It resizes the grid. void resizeColumns(int columns) It resizes the grid to the specified number of columns. void resizeRows(int rows) It resizes the grid to the specified number of rows.